A more diverse judiciary is needed in England and Wales, the House of Lords Constitution Committee has said. Peers said targets may be needed to recruit more ethnic minority and female judges if the judiciary did not better reflect society within five years, but said such a move was not needed yet. They said judges had to understand the "array of concerns and experiences" of those who appeared before them. Only one in 20 judges is non-white and 22% are women. The report by peers suggested greater diversity also meant a need to boost the numbers of gay and disabled judges. The influential committee recommended looking at removing barriers within the career structure of the profession, such as allowing more family-friendly working hours to encourage women to apply. It also said solicitors should be encouraged to become judges because they were a more representative group than barristers. It said that where two candidates were of equal merit, the need for diversity should tip the balance. Peers called on the Lord Chancellor and the Lord Chief Justice to be given a duty to encourage diversity in finding candidates. They said equality laws should be applied to senior court appointments. The committee concluded: "It is necessary for judges to understand the wide array of concerns and experiences of those appearing before them. "A more diverse judiciary can bring different perspectives to bear on the development of the law and to the concept of justice itself." 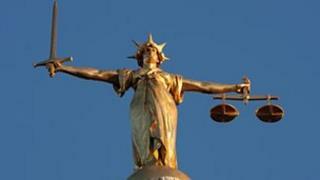 Committee chairwoman Baroness Jay said it was "vital that the public have confidence in our judiciary". "One aspect of ensuring that confidence is a more diverse judiciary that more fully reflects the wider population," she said. She added it was important that judges were appointed on merit, but added that the committee felt there were steps that could be taken to promote diversity without undermining that principle.